THIS OCEANFRONT PROPERTY IS ALL ABOUT THE BEACH LIFESTYLE. IT IS LOCATED BETWEEN THE PONTE VEDRA INN AND CLUB AND THE LODGE AND CLUB. JTB, BOUTIQUE SHOPS AND FINE DINING ARE WITHIN MINUTES AWAY. THERE IS CURRENTLY A 2,455 SQUARE FOOT CONCRETE BLOCK HOME ON THE LOT. 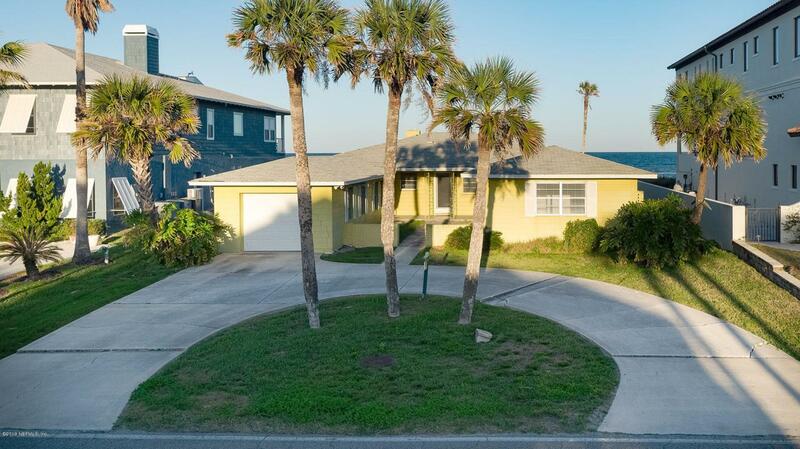 THIS IS A GREAT OPPORTUNITY TO BUILD AN OCEANFRONT HOME OR RENOVATE THE EXISTING CONCRETE BLOCK STRUCTURE. LIVE THE LIFESTYLE WITHIN A SHORT STROLL TO THE PV INN & CLUB AND THE LODGE & CLUB.